I spot this small falcon on my trip to the Merritt Island National Wildlife Refuge. It was enjoying the warmth of the early morning sun! 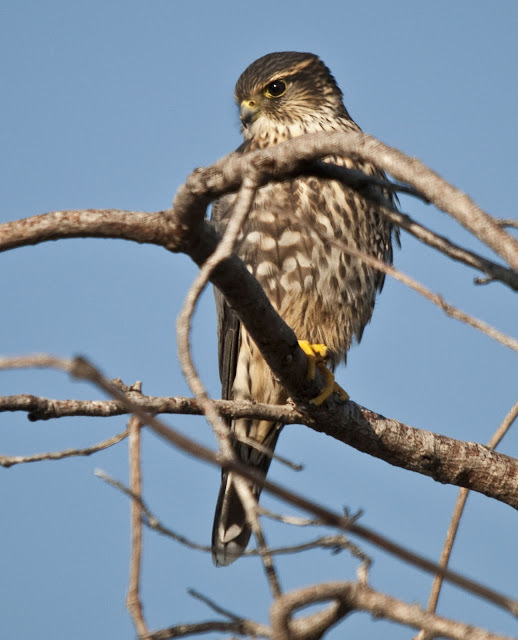 This was the first sighting of a Merlin for me. Great shot of a gorgeous bird! I hope to see one soon.